CEO and founder of affiliate compliance software developer Wag.io, Roo Wright, has recently begun to target sign-ups that have accrued over the last century not long after he announced his new partnership with LeoVegas. LeoVegas intends to use Wag.io software to begin managing its compliance in line with the regulations put in place by the Advertising Authority, as well as the Gambling Commission. Wright told reporters that affiliate compliance is becoming a more popular topic for operators in the face on increased public scrutiny affecting organisations and lobbyists. One such organisation is the Campaign for Fairer Gambling, which situated in the United Kingdom. Wright stated that their intention at the moment is to try and acquire over 100 well-known brands over the coming year. He added that that isn’t a single operator at the moment that has their affiliates in compliance, and that part of his company’s task of fixing up the problems in the industry will be difficult. 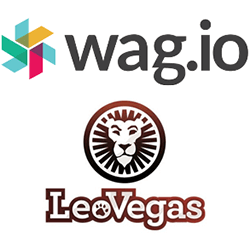 Wag.io will attempt to help LeoVegas by managing its various affiliates, which will be done through a system designed and operated by Wag.io. The system monitors affiliate activities, such as promotional deals and bonuses, and using this information, will generate activity reporters for LeoVegas to review. They can then use the information to make changes to their affiliates, allowing them to better manage their connected brands. Matthew Curmi, sales and compliance executive for LeoVegas, said that the new software will help the operator monitor its affiliates.